On June 30th the New Jersey State Legislature adjourned for the Summer and will not reconvene until after Labor Day (except for special sessions that may be called by the Senate President or Assembly Speaker). This Update focuses on what has taken place of significance effecting FOP members in the Legislature since the current 2016-2017 New Jersey Legislative Session began in January 2016. Prior to the June 30th break, the following legislation monitored and acted on by the State FOP received action in Trenton. Assembly Bill No. 1329 (Sponsor Dave Rible, Rep.-District 30: Parts of Monmouth and Ocean Counties): This bill protects the home addresses of current and retired law enforcement officers from being released by government entities. Currently, this information is considered a government record and is available to the public under the Open Public Records Act. The bill complements a law enacted in 2015 (Chapter 226), initiated by the FOP, which prohibits the posting, publishing on the internet, or disclosing certain information regarding law enforcement officers. A-1329, supported by the FOP, is ready for passage in the Assembly. Assembly Bill No. 1411 (Sponsor Gordon Johnson, Dem.-District 37: Part of Bergen County): This bill is a FOP initiative and grants campus police officers certain employment protections. Specifically, the bill provides that campus police officers may not be removed from their employment or position for political reasons or for any cause other than just cause, i.e., incapacity, misconduct, or disobedience of rules and regulations established by the college or university police agency. The bill also establishes that the “45-day rule” applies to campus police officers. A-1411, supported by the FOP, is ready for passage in the Assembly. Assembly Bil No. 1663 (Sponsor Gary Schaer, Dem-District 36: Parts of Bergen and Passaic Counties)/Senate Bill No. 1142 (Sponsor Shirley Turner, Dem.-District 15: Parts of Hunterdon and Mercer Counties): This bill requires each county and municipal law enforcement department to develop and adopt a cultural diversity training course that includes instruction and exercise designed to promote positive interactions with the racial, ethnic and religious communities within each department’s respective jurisdiction. The bill, supported by the FOP, passed in the Legislature and is awaiting the Governor’s approval. Assembly Bill No. 1695 (Sponsor Ronald Dancer, Rep.-District 12: Parts of Burlington, Middlesex, Monmouth and Ocean Counties)/Senate Bill No. 2291 (Sponsor Linda Greenstein, Dem.-Parts of Mercer and Middlesex Counties): Current law requires the driver of a motor vehicle to turn on the interior light when stopped by a law enforcement officer during the period when lighted lamps are required (such as a half-hour after sunset to a half-hour before sunrise, etc.). This bill adds to current law that interior lighted lamps must be turned on during the period when light lamps are not required upon the request of the law enforcement officer. Failure to comply imposes a $50 fine in both instances. A-1695 is ready for passage in the Assembly. S-2291 is still in Senate Committee. The FOP supports the bill, which was initiated by the New Jersey State Police. Assembly Bill No. 2048 (Sponsor Reid Gusciora, Dem.-District 15, Parts of Mercer and Hunterdon Counties)/Senate Bill No. 1965 (Sponsor Shirley Turner, Dem.-District 15, Parts of Mercer and Hunterdon Counties): This bill offers down payment assistance to encourage qualified police officers and other public workers to purchase residential property in specially designated neighborhoods of eligible municipalities in which they are employed. Down payment assistance would be in the form of zero percent interest rate for second mortgage loans of $10,000. Recipients of said loans must maintain a primary residence in the community for at least five years. A- 2048 passed in the Assembly and is in the Senate. S-1965 is in a Senate Committee. The Fop supports the bill. (3) The lead law enforcement agency that is investigating the death, serious injury, or disappearance of the officer requests that a Blue Alert be initiated. The bill further provides that participating media outlets may agree to inform the public of a missing officer or suspect within their service region. The alerts are to include a description of the missing officer or suspect and such other information as the lead law enforcement agency deems appropriate. The alerts are to provide information concerning how those members of the public who have information relating to the missing officer or suspect may contact the lead law enforcement agency. The bill passed in the Assembly. The FOP supports. Assembly Bill No. 2690 (Sponsor Gordon Johnson, Dem.-District 37, Part of Bergen County)/Senate Bill No. 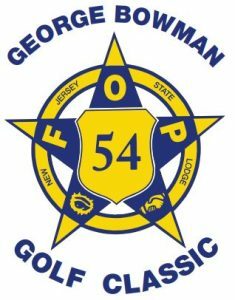 1944 (Sponsor Gerald Cardinale, Rep.-District 39, Parts of Bergen and Passaic Counties): This bill, initiated by the FOP, expands the list of retired law enforcement officers eligible to receive a handgun carry permit to include State Park Police, Special Agents of the Division of Taxation, Human Services Police Officers, New Jersey Transit Police Officers, Campus Police Officers employed by institutions of higher education, State Conservation Officers, Palisades Interstate Park Police Officers, Burlington County Bridge Police Officers, Housing Authority Police Officers, Juvenile Corrections Officers, Parole officers and Railway Police Officers. A- 2690 is ready for passage in the Assembly. S-1944 is in a Senate Committee. Assembly Bill No. 3629 (Sponsor Assemblyman Anthony Bucco, Jr., Rep.-District 25, Parts of Morris and Somerset Counties)/Senate Bill No. 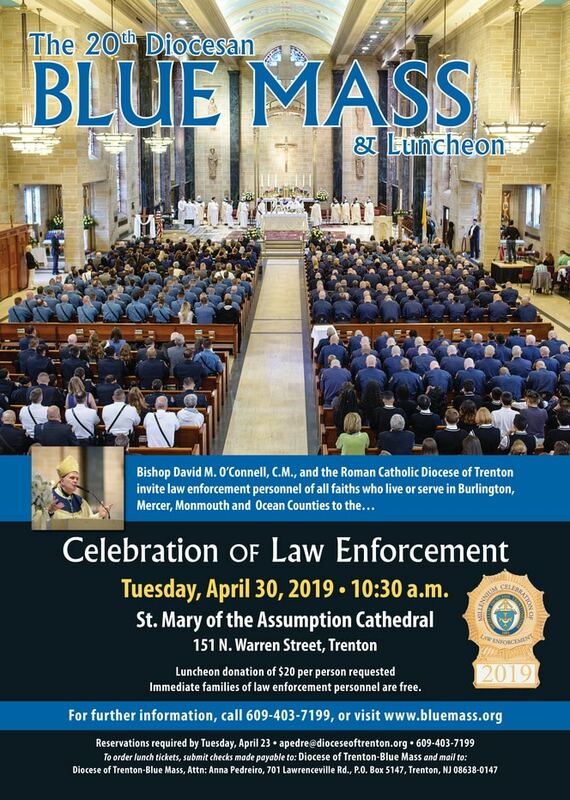 86 (Sponsor Senator Anthony Bucco, Rep.-Parts of Morris and Somerset Counties): This bill establishes a new category of “Class Three “ Special Law Enforcement officers for retired police officers less than 65 years old under the Special law Enforcement Officers’ Act. They would be comprised of retired law enforcement officers and would be permitted to provide security in this State’s public and nonpublic schools and county colleges. They would be authorized to exercise full powers and duties similar to those of a regularly appointed full time police officer while providing this security . The restrictions on carrying a firearm currently applicable to Class Two special law enforcement officers also would apply to Class Three law enforcement officers. The bill, as of July 1st., is on the Governor’s desk awaiting his action. The FOP supports the bill. ACR-109 (Sponsor Vincent Prieto, Dem.-District 32, Hudson County)/SCR-2 (Sponsor Steve Sweeney, Dem.-District 3, Parts of Cumberland, Gloucester and Salem Counties): This Concurrent Resolution proposes a Constitutional Amendment to require payments by the State to the State administered retirement systems and establishes in the State Constitution the right of public employees to pension benefits. It is ready for passage in the legislature and to be voted on as a ballot question in the November 2016 election. The FOP supports. Senate Bill No. 879 (Sponsor Linda Greenstein, Dem.-District 14, Parts of Mercer and Middlesex Counties): This bill prohibits a law enforcement officer from being discharged from employment based upon a determination that the officer is physically incapacitated for the performance of his or her duty under certain circumstances. In addition, pending retirement, the employer of the law enforcement officer is required to maintain health insurance for the law enforcement officer at the same level that coverage was provided prior to the injury. These provisions would apply only when a law enforcement officer has filed an application for retirement with the PFRS, the SPRS, or the PERS, and the officer has sick leave or workers’ compensation time available pending retirement. The provisions of this bill would apply to both civil service and non-civil service jurisdictions. The bill passed in the Senate and is in the Assembly. The FOP supports the bill. Senate Bill No. 1105 (Sponsor Senator Anthony Bucco, Rep-District 25, Parts of Somerset and Morris Counties)/Assembly Bill No. 2126 (Sponsor Declan O’Scanlon, Rep.-District 13, Part of Monmouth County): This bill prohibits law enforcement agencies from using the volume of an officer’s arrests or citations as a factor when evaluating that officer’s overall performance or when making personnel determinations such as promotions, demotions and other benefits of employment. Under current law, State and local law enforcement agencies are prohibited from establishing policies requiring officers to meet quotas for arrests and citations in enforcing the State’s motor vehicle code. However, these agencies may consider arrest and citation data as part of the officer’s overall performance evaluation. This bill prohibits this practice. S-2126 is ready for passage in the senate. A-2126 is in committee in the Assembly. The FOP supports the bill. Senate Bill No. 2061 (Sponsor Steve Sweeney, Dem.-parts of Gloucester, Cumberland and Salem Counties)/Assembly Bill No. 3610 (Sponsor Herb Conaway, Dem.-District 7, Part of Burlington County): This bill enhances benefits provided in the SPRS and the PFRS upon the accidental death of a member in active service. Under current law, if a member of the SPRS or of the PFRS dies in the performance of duty, the surviving spouse receives a pension of 70 percent of final compensation, or adjusted final compensation for the SPRS, for the use of that spouse and the children of the deceased. If there is no surviving spouse or in case the spouse dies, 20 percent of final compensation, or of adjusted final compensation, is paid annually to one surviving child, 35 percent to two surviving children in equal shares, and 50 percent to three or more children in equal shares. If there is no surviving spouse or child, 25 percent of final compensation is paid annually to one surviving parent or 40 percent to two surviving parents in equal shares.This bill increases the percentage of final compensation or adjusted final compensation to 70 percent for a surviving child, or for surviving children in equal shares, when there is no surviving spouse or the surviving spouse dies. Current law for SPRS bases the benefit on “adjusted final compensation” which is defined as the amount of final compensation or final compensation as adjusted, as the case may be, increased by the same percentage increase which is applied in any adjustments of the compensation schedule of active members after the member’s death and before the date on which the deceased member of the retirement system would have accrued 25 years of service under an assumption of continuous service, at which time the amount resulting from such increases becomes fixed and will be the basis for annual cost of living adjustments, if any. Current law for SPRS defines “child” as a deceased member’s unmarried child either (a) under the age of 18 or (b) of any age who, at the time of the member’s death, is disabled because of an intellectual disability or physical incapacity, is unable to do any substantial, gainful work because of the impairment and the impairment has lasted or can be expected to last for a continuous period of not less than 12 months, as affirmed by the SPRS medical board. The bill changes this definition to include a child 18 years of age or older and enrolled in a secondary school, or under the age of 24 and enrolled in a degree program in an institution of higher education for at least 12 credit hours in each semester provided that the member died in active service as a result of an accident met in the actual performance of duty at some definite time and place and the death was not the result of the member’s willful misconduct. This change would make the definition of “child” identical to the definition of “child” in the PFRS. This change in the definition would apply for the annual benefit available under current law, when there is no surviving spouse or the surviving spouse dies, to a surviving child in the event of a member’s accidental death in the performance of duty, ordinary death in active service, or death after retirement. If enacted, the change in the definition of child for SPRS and the amount of the benefit to a surviving child for both SPRS and PFRS would apply to a benefit initially granted on or after January 1, 2016 to a surviving child; however, the increase in the amount of the benefit would only be paid prospectively. No retroactive payments would be made. As of July 1st. this bill is on the Governor’s desk awaiting his action. 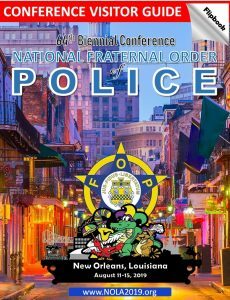 The FOP supports the bill.